While Rio de Janeiro may be most renown for its world class night life and vibrant culture but those surfers in the know quietly keep to themselves knowledge of top quality waves hidden there if you only know where to look. 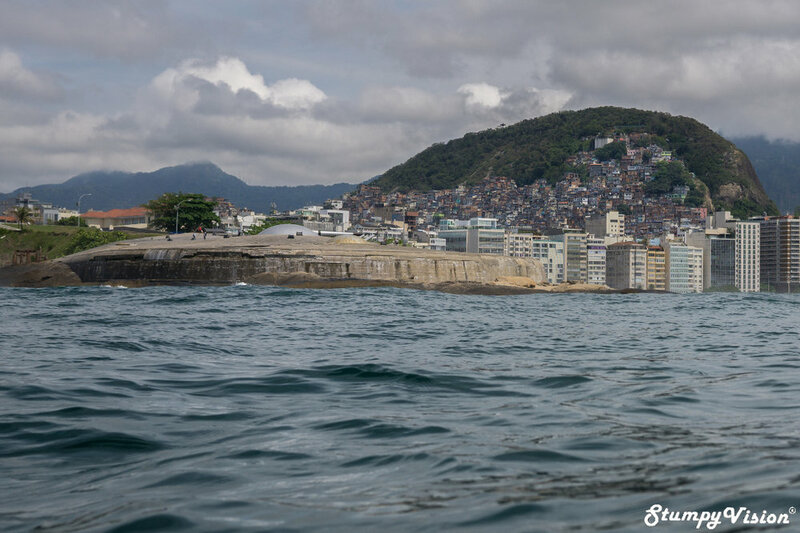 Popular beach breaks like Itacoatiara, Sao Conrado and Arpoador can dish up some sand thumping peaks on their day but the true quality in Rio lays in the handful of near dry slabbing reef breaks oh so quietly scattered throughout this beautiful vibrant city. I counted myself fortunate to have encountered one such wave during my final days visiting Rio for the first time just a year earlier. You can read about my first visit to Rio here. The true Crown Jewel of Rio. Praia Arpoador, quite possibly the best sunset view on the planet. Even the touro’s have taken up slab hunting in Rio. This high class death slab (that will remain nameless) lays hidden in plain sight close to one kilometre off the coast of one of Rio’s most famous beaches. Somehow this wave manages to stay under the radar of the international surf scene. All to often social media will blown out and expose such waves in a bid to please the masses of hungry surfers of the internet who are baying for the next hidden world class spot to froth over. This wave lives in relative anonymity possibly due to it being a very fickle beast. The wave requires a certain swell direction and swell size to start to break correctly and due to it’s location so far from shore it is highly susceptible to any ruffle of wind.The combination of these factors equates to it being immensely difficulty to score this wave in a short period of time and is not unlike finding a needle in a haystack. What lays at the end of the rainbow. During my first visit to Rio I had spent a month in the city keeping my fingers crossed and maintaining a constant eye closely on the surf conditions quietly hoping that this beast of a wave would rear its ugly head. The clock was ticking and with only a few days left on my stay time had almost run out. I had all but given up on getting the chance to tackle this violent monster. Fortunately I was to get lucky, very lucky indeed as against the odds I lucked into a solo session of 3-4ft (overhead) slabs at this fickle wave on my second to last day there. It was an all time session to say the least. Frothing for more of this. Fast forward to a year later and on my return to Rio I found myself facing a similar predicament. Almost a year to the day I once again looked set to leave the city without scoring this ominous wave. Literally the day before my flight out of Brazil there was a solid swell running. When checking the beaches early that morning I was greeted by a large junky swell heavily ruffled wind. Less than ideal conditions and not looking very promising at all. I could just make out swell hitting the reef on the distant horizon but from my vantage point I could not determine if it was good or not but I thought to myself why the hell not? With time ticking away what did I have to lose? As they say fortune favours the brave and sometimes the stupid being closer to the later I suited up and begun my ambitious marathon swim out towards this slab of notorious reef.Despite the fact that this wave is located bang smack in the middle of one of the most populated cities in Latin America yet due to the vast distance from shore you are filled with a great sense of isolation and vulnerability as you are literally bobbing about in the middle of nowhere. The unique view from the lineup. What greeted me on the paddle out, literally the first frame I took. After what was an incredibly long hard swim fighting thee very strong current I could just make out a very solid swell unloading violently on the shallow reef. As I slowly nudged closer to the line-up my jaw almost hit the seabed a solid and glassy six foot (1.5 times overhead) wave mutated and tripped over itself before unloading violently on a near dry rockshelf. It was solid, perfect and heavy as f@%k with not a soul in sight. What more could you ask for? Almost a year to the day I was experiencing deja vu in Rio, deja vu in the best possible form. Pure glass, does it get any better than this? This highly dangerous wave forms and breaks as swell comes from very deep water to meet the edge of a dry rock shelf before standing up straight as the water drains below sea-level. The lip is forced to heavily pitch and detonate violently barely waist deep water that is barely covering the clearly visible rocks coated in razor sharp barnacles just waiting to slice you to shreds. The heaving barrel the runs off perfectly into the deep sea channel. Truly heavy, this wave was doing things that the laws of physics says shouldn't be possible and has to be seen in person to be believed. This widow-maker is easily one of the heaviest waves I have witnessed in person and believe me I seen some heavy stuff during my travels throughout Latin America and back home in Australia. Did I mention I was the only one out? During the next three hours I was in surf photography heaven as I bore witness to and captured images of these beautiful liquid mountains as they destroyed themselves violently on the impenetrable reef. Perhaps the only thing missing from this perfect session was having some local riders charging the slab to give a true scale to size and heaviness of the images but hey you can’t have your cake and eat it right? The next day when I boarded my flight back to Australia there was a massive satisfied smile plastered right across my big fat face as I knew how fortunate I had been to score one of Latin America’s most vicious and fickle waves to myself and against the odds for the second year in a row. 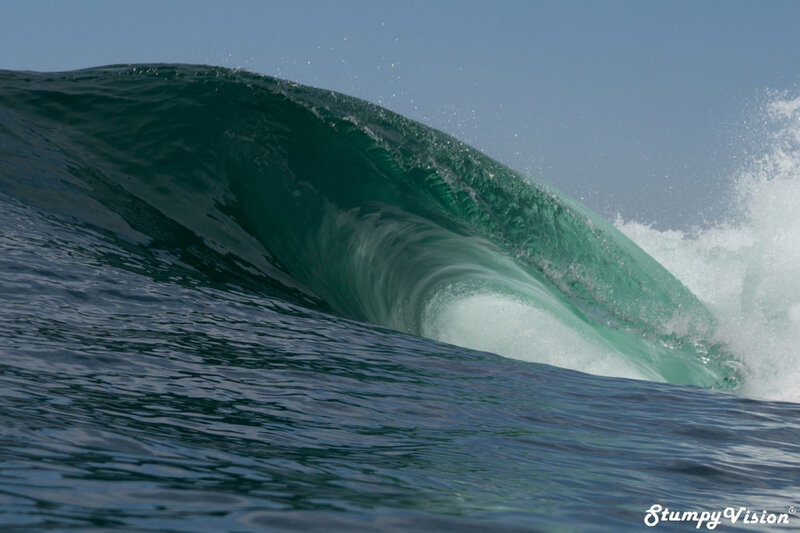 If you think that Brazil does not dish up quality heavy waves of consequence then perhaps it is time to think again. Tchau Rio, until next time.